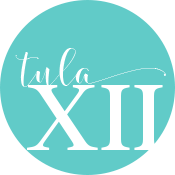 With Tula Xii you can shop from the comfort of your home and build the lifestyle organizer that is right for you. Whether you are a planner, a dreamer, or a journaler you can customize what you need! Shopping with a Brand Ambassador means you have someone helping you select the right products for your lifestyle. Plus, your Brand Ambassador can keep you up-to-date on any new releases that will work for you in the coming year. Leave it at home or take it on the go; Tula Xii lets you keep everything you need to stay organized in one place.